Flip a coin. If heads,the other/others players won't have a turn to attack,so this attack will do its attack again. Flip a coin. If tails this attack does 100000000 more damage. 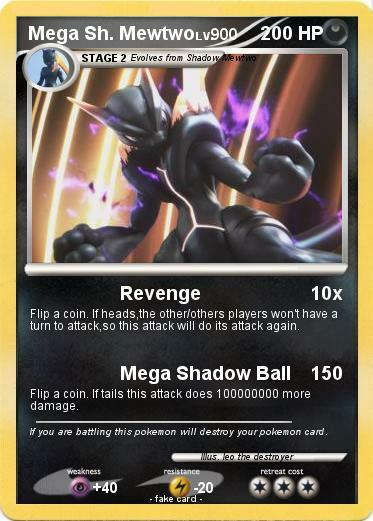 Comments : If you are battling this pokemon will destroy your pokemon card.